Certain developers have figured out over the years that sometimes, it’s best to pick a genre and stick with it. Id Software knew first-person shooters were keeping the lights on. Square understood RPG’s were sending their kids to college. And LJN made a fortune plopping out dreck with movie and comic book licenses. Hey, you are what your record says you are. One of those single-genre developers was a Japanese group called Koei, who was known for making really detailed strategy games, most notably the Romance of the Three Kingdoms series and Nobunaga’s Ambition, not exactly the most action-packed titles, so it would seem strange for them to release a third-person shooter out of the blue, but sure enough, in 1999, Koei released WinBack for Nintendo 64. You and your team…guess who dies first! 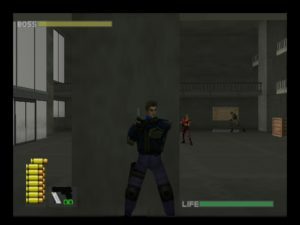 You play as Jean-Luc Cougar, a member of an elite commando team known as S.C.A.T. (giggles), tasked to infiltrate a military base overrun by terrorists from the (extremely) fictional nation of Saroczia and take back control of the satellite weapons platform at the base. Trouble starts early, though, as your helicopter is sabotaged and you and your team have to bail out and regroup. It’s not the most thought-provoking plot, but Koei deserves some credit, after all, normally their stories were written for them already hundreds of years ago. Controls take some getting used to at first, but lend themselves well to the third-person perspective. 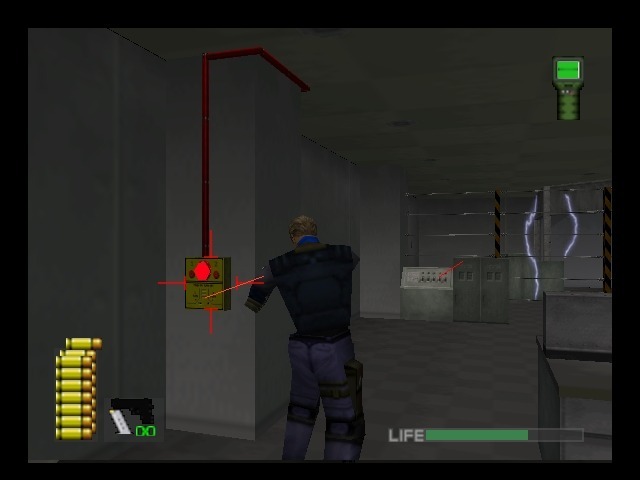 R draws your weapon and locks your movement in place, giving you free aim, a la Resident Evil. 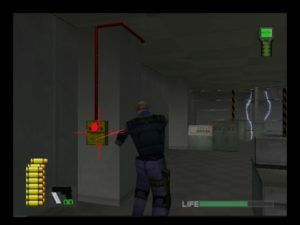 To assist in aiming, you have a laser sight that shows up well against any surface, and Bottom C activates a green lock-on crosshair, so when you draw your weapon, you’ll automatically be pointed at center mass of the enemy. There’s also a fairly intuitive cover system in play here; stand next to a wall and press A and you’ll put your back to the wall, allowing you to slide over and see what’s waiting around the corner, then R lets you spin out from cover and pop off a couple of shots before ducking back to safety. It’s a very useful tool, and you WILL be using it a lot, but it doesn’t get to the point where it feels like a gimmick that the rest of the game was shoehorned around (cough, Killswitch, cough). The cover system can really help even the odds. Taking on a swarm of armed terrorists requires a solid arsenal, and while WinBack doesn’t provide you with much, it gives you enough to get the job done. You have a pistol with infinite ammo and decent stopping power that will be your go-to weapon, a submachine with the longest range, and a shotgun with the most power and enough spread to tag two or three enemies at once. Rarer are a rocket launcher with four shots and a silenced pistol, as well as C4 explosives you can set and detonate later to ambush enemies trying to rush up from behind you. Presentation-wise, WinBack is solid, but is um…how do I say this…very Japanese in its style. Dialogue is handled with text instead of voice acting, and in cutscenes characters have a lot of really exaggerated motions, so be prepared for some slightly silly-looking sad head shaking and angry arm gesticulations. There’s no blood, but a flash of color indicates a hit, blue for limbs, green for torso, and red for head shots. Much like The Thing, this game also needs a Fuse Box Count. The background music is okay, but nothing special, but it does change to a more intense theme if your health dips in the yellow or the red. There aren’t any dead bodies, which wasn’t uncommon, but it is unintentionally hilarious to see a character die dramatically in a cutscene and then flicker and disappear. Speaking of which, most of the characters are comprised of rather generic tropes, from your team having the “cocky young guy” and the “wisecracking fat guy” to the opposition having “Latin assassin with short temper” and “huge slow guy with a flamethrower”. You’ll even fight a ninja along the way. Yes. As I said before, this was way outside Koei’s usual wheelhouse. 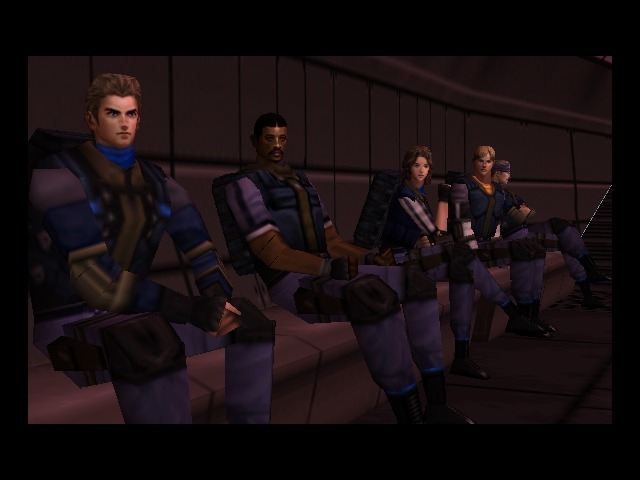 But, despite some of the strange qualities, including a half-assed Multiplayer mode (which I haven’t mentioned yet because honestly, there’s really nothing much to it), this was a very commendable effort, especially since this was their first go at a shooter and first foray onto the N64. It’s certainly different from the other shooters of the day, and although it’s not quite in the same class as Goldeneye or Perfect Dark, but if you stumbled upon it, it’d definitely be worth a playthrough. There may not be a whole lot of replay value here, but it’s a fun ride while it lasts. Fairly unique for the time, a nice change from the usual late ’90s shooter, pretty smooth once you get used to the controls. A bit silly at times, does take a bit to get used to, being a third-person shooter, you’ll have to wrestle with the camera at times. I wonder if this is the first 3rd person shooter with a cover system. 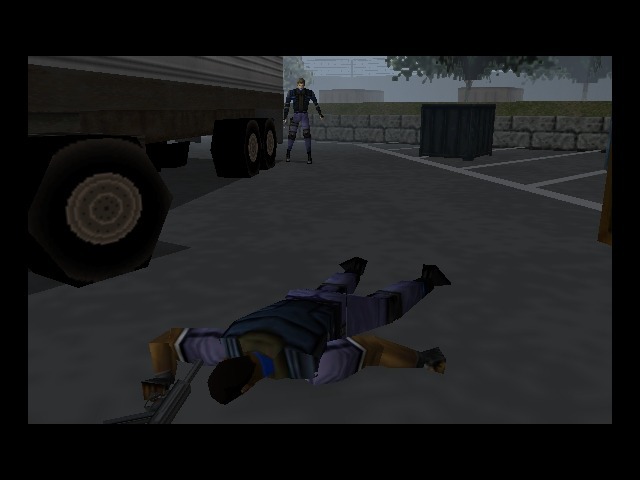 Did Syphon Filter have one? 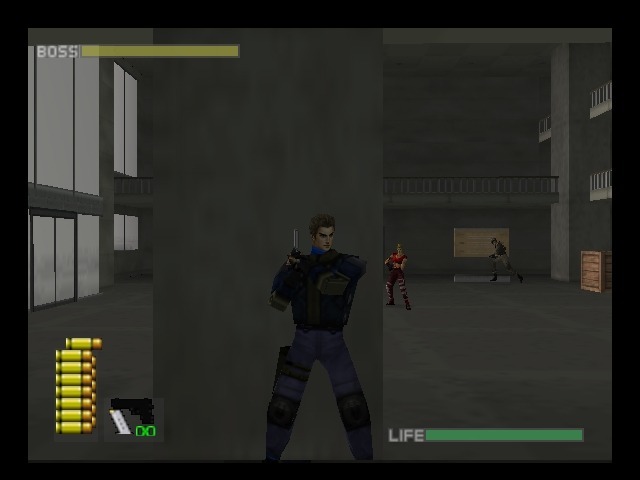 Metal Gear Solid did, of course, but you couldn’t shoot from cover. The games story got really ambitious and great towards the end. Deeper then the usual crazy haired bad guys being bad that you first thought. They are still bad but deeper. Plus the story could change depending on your play times through the levels! I had fun with the multiplayer. Forces you to use cover as you are invincible after a hit so just running and gunmen like most fps of the day is pretty much out. All in all a real good game.